I hadn't realized Mask came from the same writer as Secret until after I watched all the aired episodes. It makes complete sense, as I can see plenty of similarities in the dark, twisted tone, the intense romance, and the generally assured, suspenseful pacing of the story. Secret remains one of my favorite dramas, as for all its flaws I loved its raw intensity and was blown-away by all of the performances. Mask so far isn't quite to that level, though I find it one of the better and more addicting shows that's aired so far this year. One thing Mask did incredibly well was to come out strong from the get-go. 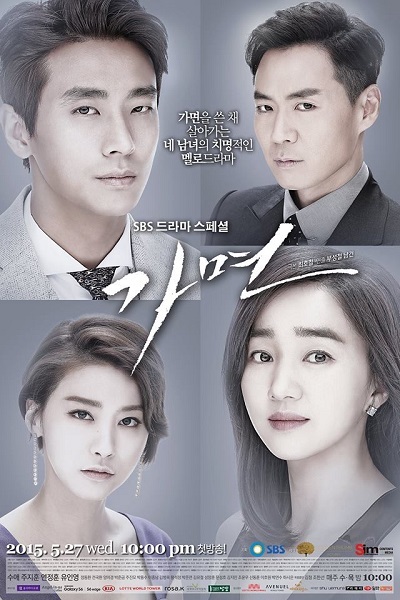 It's rare to connect with a drama in less than a few episodes, but with Mask I was swept up within ten minutes. That's quite a contrast to Secret, which I recall took me three episodes to fully engage with. Mask is a solid example of how to correctly use the too-common Dramatic Flash-forward-then-back opening device. The directing and acting deserve full accolades here for dialing up the stakes on the opening car crash scene, making it feel riveting and suspenseful rather than cliche and hammy, and then smoothly transitioning into the preceding events. For those unfamiliar with the story, Mask involves a woman from a poor background who fills in for her rich doppelganger when the latter passes away. The summary sounds almost silly, but I find the doppelganger backdrop here to be fascinating. Rather than just having secretly lost twins, we have a dark and mysterious supernatural element to the story, which I'm willing to eat up without question. The whole "first person who sees their doppelganger dies first" rule is just goosebumps-inducing. Su Ae also does a phenomenal job in establishing both women's characters, by portraying Eun Ha as uniquely compelling and multidimensional despite her limited screentime, and by making Ji Sook feel sympathetic. In fact, this is the first time I've really seen Su Ae in a role. I remember not liking her much in the few episodes I saw of 9 Inns and 2 Outs, and similarly not being impressed with anything she did in the two episodes I saw of Athena. But here, I get her appeal as an actress and completely agree with her Melodrama Queen reputation. In fact, as much as I don't like to typecast actors, I think she should stick to melos over comedy as much as possible. The biggest factor is her porcelain doll looks and willowy figure, which works perfectly in the generally tragic and otherworldly beautiful setting of melos. By contrast, with rom-coms I look for more approachable, even physically "flawed" (or at least "realistic") leading ladies, and that's probably why I couldn't connect with her character from 9 Inns. In Mask, while I still find her somewhat unbelievably pretty, I'm a fan of her performance and holy cow I love her deep voice. She makes Ji Sook seem innocent and kind without being silly, and while I would like more toughness from the character, I think that's more a flaw of writing than acting (sadly pushover heroines are probably a given considering the writer). She also has simmering chemistry with Joo Ji Hoon, who I'm so glad to see back in a meaty role. He's also gold in the melo context, with his hooded gaze and general chiseled appearance, and these two together just spark. It's not nearly to the levels between Ji Sung and Hwang Jung Eun in Secret, but it's quite good and makes me not even consider any second-lead shipping with the crazed brother-in-law. The pacing has to be one of the biggest strong points for the show. Unlike other dramas where you sometimes feel like you're just waiting for certain scenes to end and for more good stuff to come, this one manages to be pretty consistent. I don't ever feel bored while watching, which is a huge boon. 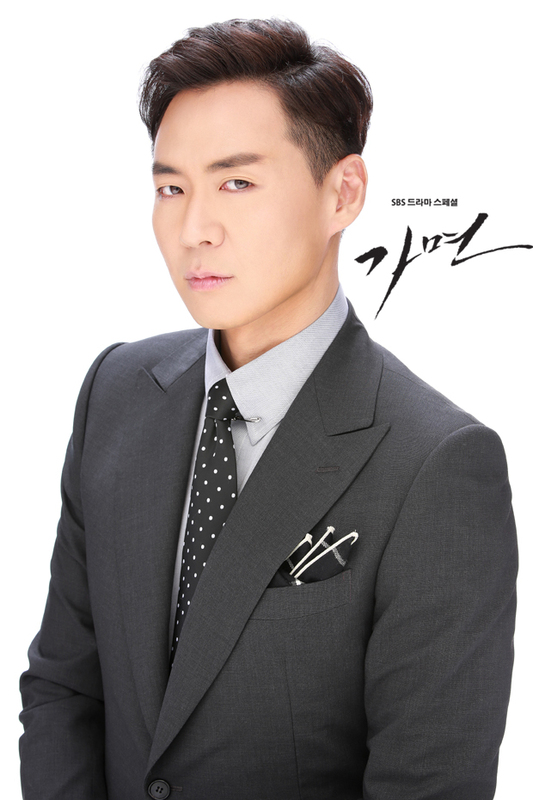 It helps that all the actors are pulling their weight, especially Yeon Jung Hoon as the crazed Min Seok Hoon, who under the care of any other actor might just seem overwrought and tiring (for example, the horribly expressionless Kim Tae Hoon in Angry Mom). Here, when things happen it feels like they're for a reason, and not merely to give the side actors their due screentime. The stakes are almost unbelievably high, but they definitely sweep you up into what's happening, and even the coincidental ill-timing and interrupting-big-bad scenes feel well-woven and purposeful. I also want to speak a bit more on the romance between our leads Ji Sook and Min Woo. As mentioned, I think Secret's pair sparked more for me both in terms of the crazed context of the romance as well as the lead actors. Ji Sook and Min Woo just couldn't compare in terms of set-up and stakes, because falling in love through an arranged marriage is the stuff of dramas written in their sleep. But it's well-executed despite the cliche of the nice girl warming up the cold guy, and it's bolstered by the identity secret and past Eun-Ha's lover question. Overall the writing for this just works for me, and while the progression is much slower than I would like (seriously, you're two adults who live together and all we get is one kiss and some cold-induced cuddles?) the slow burn feels tangible and I expect to see further payoffs coming soon (since we did get a bed scene in Secret). As mentioned, I think the leads also have solid chemistry, perhaps not their best compared to former coworkers but certainly an undeniable draw that's sizzling onscreen. In terms of aesthetics, I love how this show is filmed, with all the shadows and muted colors. It fits the necessary coldness of the story. I also love the instrumental music selection here, especially the one that plays in the opening to each episode. I'm pleasantly surprised that they didn't go with a ballad here, but feel that's appropriate again given how reserved and almost distant the drama is meant to feel. The only real downside I can say for this show is that it can be a tiring watch. This is no uplifting, braindead rom-com. No, this one takes your emotions and runs with them through pretty extreme scenarios, which can leave you feeling drained after. Basically, don't watch this if you need to do something heavy afterwards. or if you're already in a rough mood. But if you're feeling up for it, I recommend giving it a try, maybe spacing out the episodes over a few days rather than binge-watching for your emotional sanity. I'm also wary of the fact that we still have 12 episodes to go, but hopefully the pacing will continue to stay strong. Definitely worth checking out.